The Ozone Music Education Foundation is a Louisiana-based, federally tax exempt, 501(c)(3) nonprofit organization. As a public charity, the Ozone Music Education Foundation is managed by a Board of Directors, comprised of officer and non-officer roles. This nonprofit organization is governed by Corporate Bylaws and a Conflict of Interest Policy formerly adopted by the board through unanimous consent. For more information about governance, our standing as a public charity, for general inquiries, or offers of support, please contact us through this website. 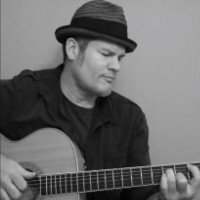 Originally from New Orleans, Barnhill has been writing and performing his entire life. Artists from Etta James, Martina McBride, and Jessica Simpson to Chicago, Tim McGraw, Lee Ann Womack, Leona Lewis and many in between have sung his songs. “Walkaway Joe,” recorded by Trisha Yearwood and Don Henley, was a significant milestone to his career. The song went on to earn him a Grammy nomination as well as the respect of his peers that follows him to this day. Barnhill also had a crossover smash with “House of Love” for Amy Grant and Vince Gill.Other hit songs include “Same Ol Love”, “99.9% Sure I’ve Never Been Here Before”, “She’s Taken’ A Shine” and “Never Been Kissed”. He garnered critical claim with the 2014 single, Gary Allan's" It Ain't The Whiskey" which got rave reviews for its bold take on the issue of addiction. While Barnhill’s chart successes are impressive, he has also recorded, written, and produced a number of TV themes and jingles. In 2007, Greg earned an Emmy nomination for his hit “It’s A New Day” for ‘The Today Show’. You can also hear his work on “CNN”, “Fox and Friends,” “The View,” “Baywatch,” “Growing Pains,” “Murphy Brown,” Crown Royal, Tennessee Titans (NFL), Nashville Predators (NHL), Atlanta Braves (MLB) and other national and regional sports teams, businesses and television programs. Greg is one of Nashville’s first call master vocalists. He performs around the world with other prominent artists and songwriters. You can also hear Greg’s voice on the recordings of Tim McGraw, Toby Keith, just to name a few. “ I’ve always loved the skill of songwriting even over singing, because a great song is a great song in any time period... and I’m always listening and learning. I stay current, because that’s how you stay in the game.” And from the sound of things, it’s a formula that’s been serving Barnhill well. Michael is the Regional Director for 985 Trade based in Mandeville, La. He has been in sales for over 25 years in a variety of fields to include work for a national Sign Company, 10 years as a Realtor, and several years with Qwest Communications. He also owned and operated a restaurant in Old Mandeville for 12 ½ years. 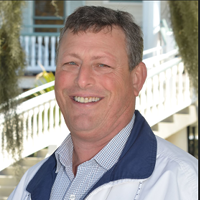 His other experience includes over 10 years as a Planning & Zoning Commissioner for the City of Mandeville. He is presently the vice-president of the Ozone Music Education Foundation whose mission is to host an annual festival to raise money to purchase musical instruments for underprivileged children. 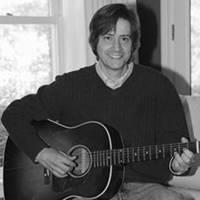 He is also a member of the Northshore Songwriters Association and an avid songwriter. Growing up, my parents struggled to purchase my first drum so that I could pursue my fascination with music. This represented a true burden for my family and I know there are other children today whose family’s would like to give the lifelong gift of music to their children but simply cannot. I want to help those children. Christine Barnhill Tramel is President of BillBar Construction, Inc and Treasurer of Ozone Music Education Foundation. She is excited about the Foundation’s potential impact on our music community and is honored to be a part of the Foundation Board. Providing education and opportunity to adults and youth is near and dear to her heart and she looks forward to the Foundation and it’s Songwriter Festival being a driving force in providing both to our super talented Parish and Region! Other professional and community organizations Christine is involved in: National Association of Women in Construction; Slidell Little Theatre; Habitat for Humanity; Slidell Women’s Civic Club; Mystick Krewe of Perseus; Krewe of Mona Lisa Moon Pie and the Northshore Gumbo Cook-Off. Buzz has been playing the guitar and writing songs for over 35 years. He lived in Nashville for 18 years and relocated to Covington, LA in 2010. 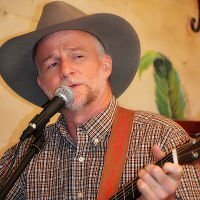 Shortly after returning to South Louisiana, he founded the Northshore Songwriters Circle to share his songwriting experience with others interested in writing and performing their own original songs. The Northshore Songwriters Circle has more than 150 active members and is still going strong after eight years. Originally from England, John arrived in the United States in 1994 to complete a major software implementation for AT&T network systems in Columbus, OH. He moved into IT systems, becoming an executive at Sterling Commerce, where he was responsible for the deployment of ~$80M of IT projects to 11 countries in 4 years. Moving to the New Orleans area in 2004, John became an entrepreneur, launching several business including a multi-website online retail business that acquired over 24,000 customers which he sold in 2013. John spent five years as a Marketing and Operations Consultant for small business, carving out a niche for himself as the person to call when you have a startup that needs to establish product / market fit, systematize operations, gain sales and obtain market traction. He recently accepted a position as Chief Marketing and Technology Officer for a New Orleans-based, venture capital-backed, technology startup. John has a passion for original music which—as a performing singer / songwriter—he channels into both his own songs and into his role as Technology Director for the Ozone Music Education Foundation, a tax-exempt 501(c)(3) nonprofit organization. Through both his music and his work for Ozone he aims to inspire and support grassroots talent on the Northshore and the Greater New Orleans area. New Orleans native and Mandeville resident Kara Martinez Bachman is an author, editor and entertainment writer. She has read her work for national broadcast on NPR radio and it has appeared in national publications ranging from The Writer to the Erma Bombeck Writers' Workshop. 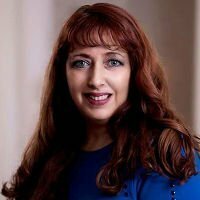 For the past six years she has covered St. Tammany Parish entertainment -- with primary emphasis on music and theater -- for Nola.com and the New Orleans Times-Picayune, where she's served formerly as community news editor of the Slidell Picayune, Mandeville Picayune, and Covington Picayune newspapers. She's an active entertainment journalist, with over 1,500 articles and news stories appearing in over 70 newspapers, magazines, literary journals and websites, including interviews with musicians and actors ranging from A-list celebrities to creators of local blues and jazz. Her music journalism has appeared in publications such as American Blues Scene, Legends Magazine and The Bluegrass Standard, where she maintains an active and prolific byline. 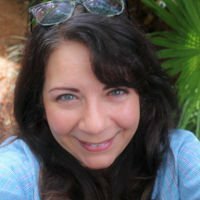 She often uses her role as Managing Editor of Parents & Kids--Gulf Coast and Parents & Kids--Mississippi Delta magazines to further the goal of encouraging children to explore music. She's author of the humor essay collection "Kissing the Crisis: Field Notes on Foul-Mouthed Babies, Disenchanted Women, and Careening into Middle Age" (Quill Driver Books, 2017) and is mom to two teenagers, both of whom write original music, play various instruments, and perform via community theater and other live music events. Mary Grace is a local North Shore Attorney who is also an ASCAP registered songwriter . She is well known as a Trial lawyer on the North shore since 1986 after graduating from Loyola Law in New Orleans. From 2010 to 2015, she served as founder and Captain of the North Shore Mardi Gras Krewe Of Lyra, which forged an alliance with the National Alliance on Mental Illness (NAMI). She is a retired Soccer mom with three sons and three grandchildren, and lives in Mandeville. 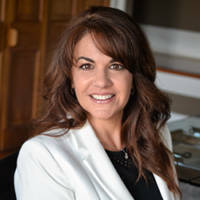 She is also well known in the local songwriting community and currently serves as a Founding Board Director for Ozone Music and Educational Foundation. She has co written a song called “Come Hell Or High Water” with Chip Hardy in Nashville which is a Saints football song, which the Saints signed for their PR and Social Media sites. She further completed a Mardi Gras song, entitled &quot;This Parade Is Gonna Roll”, which was covered by 4 Unplugged locally, with fellow Board Member Ricky Windhorst performing vocals The Parade song which maintains serious presence and radio play State wide each year; as well as being featured in Parades, at Mardi Gras Balls-and on television News; and is further used in Krewe websites including that of Superkrewe Nyx at kreweofnyx.com. She has been interviewed as a songwriter on New Orleans television, and has been featured multiple times on North Shore and New Orleans radio. As a tribute to those impacted and lost in Hurricane Katrina she released a Utube Video to her song “Yet To Cry” on the 9th year anniversary of the Storm, which was warmly received locally; and a song from a Nashville session, “Dance Like No One’s Looking” chosen as the official theme song for a local Cancer Survivor’s Benefit in New Orleans, “You Night” Runway Show in October of 2014. Several videos of her songs are featured on YouTube, and she regularly attends Songwriting Festivals and Entertainment Law Seminars, and is well versed in Entertainment law, and the strengths and pitfalls of the music industry. Mary Grace has cowritten songs with local and Nashville songwriter Greg Barnhill – the President of the Ozone Songwriters Music and Education Foundation, and has multiple Nashville and local studio sessions behind her. Songwriters should have a platform upon which to present their art – music. Further she is convinced that like this endeavor will enhance music appreciation and provide integral annual entertainment for adults and students in the North Shore Community. Randy Russell served in the Louisiana Army National Guard from 1984-1990, attained a B.A. in Economics in 1990 from Southeastern Louisiana University and a Juris Doctorate in 1995, from Loyola University New Orleans College of Law. 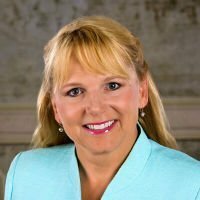 He is a practicing attorney and certified mediator, with over 22 years of experience in a diverse practice, the last 13 years of which have been with his firm, The Law Office of Randy P. Russell, LLC, which has been located in Mandeville and focused on serving the Northshore community since 2005. Randy previously served as Vice Chairman and Treasurer of the Louisiana State Bar Association, Civil Law & Litigation Section and has been a lecturer at Loyola University New Orleans College of Law, Tulane Law School and Southeastern Louisiana University. 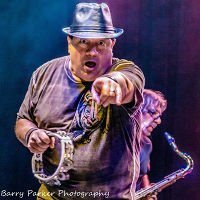 Ricky Windhorst is a member of the Louisiana Music Hall of Fame for his songwriting and vocal contributions to the eponymous J.J. Muggler debut CD. Along with songwriting on various projects, he also fronts the popular local band Four Unplugged. Since his musical journey began in 1972, he has been performing and writing music including the production of several CDs of both original and cover tunes. Next Best Thing to Heaven ( St. Tammany USA), co-written with Christian Serpas, was adopted by the East St Tammany Chamber of Commerce. Ricky also served on the board and as Production Manager for the Mandeville Seafood Festival. He currently can be seen performing all over the New Orleans area with Four Unplugged, the original J.J. Muggler Band, the Tchefuncte River Band and other side projects. He is a proud member of the Ozone Songwriter Festival and supports its mission to help educate and promote local songwriters. Ricky resides in Madisonville with his wife and keyboardist extraordinaire, Jan, and their two dogs, Corkie and Roxie. Susan Russell, Executive Director for Keep Louisiana Beautiful (KLB), the state’s leading non-profit providing training, education, resources, programming and awareness for a cleaner and more beautiful Louisiana. 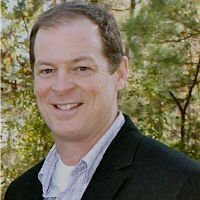 Russell comes to KLB after 23 years specializing in non-profit program development, management, marketing and fundraising for Keep Mandeville Beautiful, Volunteers of America of Greater New Orleans and Louisiana Special Olympics. As a member of the Ozone Music Education Foundation Board of Directors, Russell’s belief in the need for the Foundation is a very personal one. “The festival’s goal is to raise money to support music education for young people while highlighting local, regional and national songwriters. As a board member, I believe in this organization because I think it fills a much-needed void. My daughter is a 16-year-old budding singer/songwriter. She has had years of piano and guitar lessons, and she has been in the St. Tammany Parish Talented Music program since she was in 2nd grade. This training has been invaluable in shaping her music talent and ambition, but the focus has been mainly on performance. There are no preparatory programs for young people who aspire to be songwriters, producers, music engineers and promoters. Basically, there is a whole other world of the music industry that young people are not being exposed to. The Foundation, through funds raised from the festival, aims to change that by providing workshops for students, exposing them to the entire music industry,” explains Russell. I was born in a tiny town in Central Louisiana into a family with Southern roots that run deep. As is true in many Southern families, the traditional values of faith, loyalty, hard work, and honesty were instilled in me from an early age. I was also blessed to be raised in a family with musical inclinations. My great-grandmother played the piano in church, my grandmother sang religious songs in the church choir as well as songs that were popular in her youth around the house, and my mother sang in a gospel trio. My mother also played piano and wrote songs, beginning when she was in high school. As my siblings and I grew up, several us began to play music and write songs of our own, but interestingly, songwriting was not something our mother had taught us, nor was it a skill we developed by working together. It just seems to have come naturally to us, and each of us took it in our own direction. For me, this direction was initially most strongly influenced by the songs and stories of Jim Croce (the first album I ever bought was Croce’s “Photographs and Memories”) as well as other singer-songwriters like James Taylor and John Prine. I grew up working my grandfather’s cattle and helping him around the farm, but the country music on the radio didn’t appeal to me at the time. Then, in my teens, I stumbled across the developing Outlaw music coming out of Texas and spreading into the national music scene. The sounds of Willie and Waylon led me to discover folks like Jerry Jeff Walker, Rusty Weir, and Billy Joe Shaver, and later on, Nanci Griffith and Robert Earl Keen. I loved the way they could weave stories and paint mental pictures with the words of their songs, and at that point the die was cast. I like to think that the songs I write contain hints of these influences as I sing of love and loss, of joy and sorrow, of family, friends, and the folks you see on the street. Some have called me “a storyteller in song”, and I guess that’s true, or at least I hope it is. 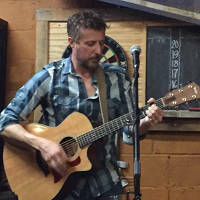 I perform my songs wherever and whenever I get the chance – at festivals, bars, restaurants, and coffeehouses, primarily in Louisiana and Texas, but further afield as opportunity permits, and everywhere I go, I make connections with other songwriters. I’m not just interested in promoting my own songs – I look for opportunities to help other songwriters do the same. I’ve hosted songwriter events in Baton Rouge and served as a stage manager for Baton Rouge’s Third Street Songwriters Festival and Morgan City’s Songs On The Bayou Songwriter Festival, I created Troubadours Songwriter Night in Covington, Louisiana, and co-created Songwriter Sessions in Des Allemands, Louisiana with close friend and fellow songwriter Barry Chauvin. My songwriter festival experience and the extensive local and regional network of songwriters I’m tied into also led to my being asked to join the Board of Directors of the Ozone Music Education Foundation, a 501c(3) nonprofit organization whose mission is to provide resources and music education to children and adults. Not too surprisingly, I serve on the Board as the Local and Regional Songwriter Liaison and Songwriter Festival Liaison. I am more than excited to fill this role as we prepare for our first Ozone Songwriter Festival on October 20 and 21 in Mandeville, Louisiana!